Digestion is good. Sleeps okay. Moods are stable. Stress is low. I was feeling great. Happy. Blessed. Joyful. And then a couple of days ago my old friend anxiety decided to pay me a visit. WTF. Not impressed. Not happy to see you. Not welcome here. Very confusing. I have three theories on what might have triggered this episode: I ate wheat three days in a row (nothing major but maybe? ), I am due for my monthly B12 shot this week and/or I missed taking my iron and B12 a couple days in a row. But I'm skeptical. None of those seem serious enough to cause may anxiety to move back in. And lets clarify here. I don't mean anxiety in the sense of "oh - I'm feeling stressed out". I used to bandy about the term "I'm having a panic attack" all the time (feel really bad about that now). Until having a real panic attack I thought it was just feeling really stressed out and being on that adrenal rush. NOPE. WRONG. If you've had a real panic attack you will know it and it will shake you to your core. The scariest feeling you will ever go through. And if you've had anxiety. Real anxiety. You will also know that its not just feeling stressed. Its FEAR. You feel extremely scared. Or I do. My brain tends to latch onto something (usually some end of the world scenario - my current fascination is extreme weather and climate change) and I can not stop thinking, worrying, stressing about it. I feel like someone took a syringe full of fear and injected me. Like something has moved into my body (unwelcome guest I might add) and my brain. And for the record anxiety and depression are not the same thing. I feel scared not sad. Why am I sharing this. So you will all think I"m crazy? No. Because something got off balance in my body and for a couple of days I have been fixated on worrying about our lack of plant biodiversity, food shortages, floods, pollution, clean water, the poor bee population - ya da, ya da, ya da. Or I WAS fixated on it. And I decided to try something different this time. Instead of spending 50% of my time fixating on my worries (reading online blogs, websites, comments on climate change and weather patters) and the other 50% of the time trying to wrack my brain (and search the internet) on what physically triggered this episode (wheat, B12.......or maybe over training last week or maybe the chemicals in our water system or maybe ____) I decided to try something different. I know there is a trigger, and I know I need to figure it out and correct it, but what I need to do more is figure out how to mentally work my way through and out of my current anxiety so I can enjoy my life - because things are great right now. And frankly, if our future is doomed, shouldn't I be enjoying the present instead of worrying about it. I have a friend who has often coached me to "stay in the present and don't give power to your fear". I can be a bit smug so I thought, oh I don't need to do that, my anxiety stems from my digestive problems not my mental state (sorry - I'm often wrong or misguided). But I finally decided maybe I should listen: when the student is ready the teacher will come. So I was finally ready. I spend all my energy last night just focusing on staying in the moment. Not letting my mind go to a dark place. I read inspiration quotes and watched Brene Brown video's instead of stories about disappearing bees. Every time my mind tried to go back to that place of fear I said NO and focused on the now. 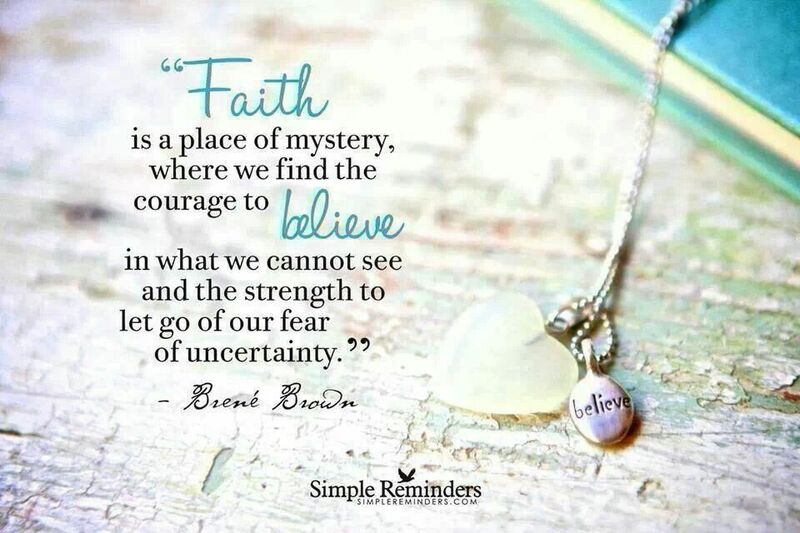 And instead of letting myself feel the fear of uncertainty that comes with faith I just let my faith be a comfort. And I felt better. I fell asleep like a baby (I hate that saying but you all know what I mean). And I woke up feeling better. And I took the bus this morning and packed a vegan lunch (with no wheat)........because I might be a spec of a spec on this planet but I can take action to help slow climate change rather than just worrying about it! So maybe you think I'm crazy. Or maybe you will be inspired to be in the moment or maybe to pray. At the very least try to recycle today!!! Please.